Hello, guys! Are you still there? Well, I’m still here, back from an unexpected hiatus from blogging. 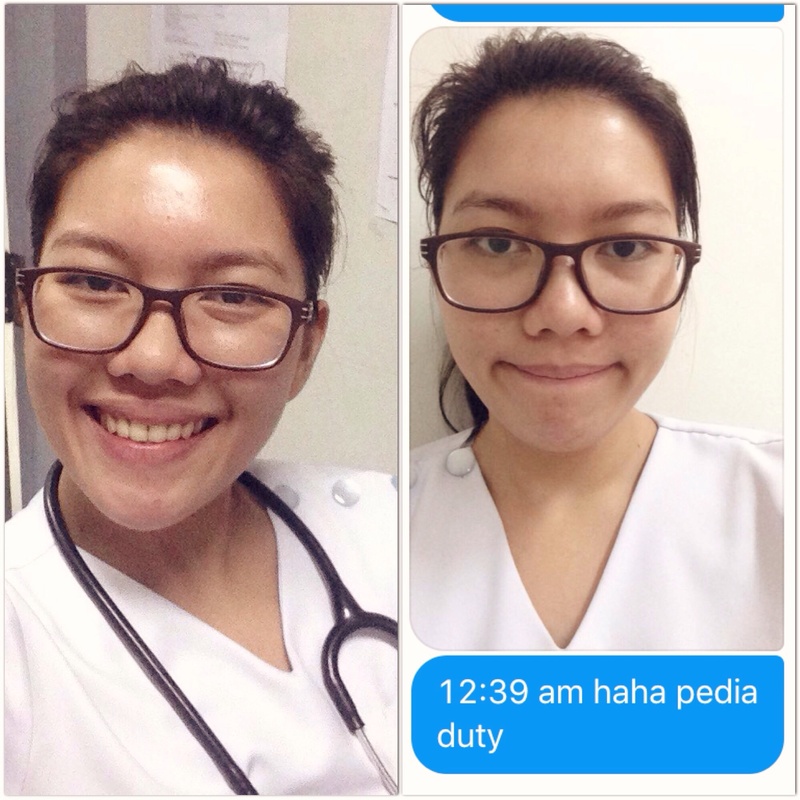 I became suddenly drawn to hospital work and group exercises at Gold’s gym, and realized how medical clerkship (4th year in med school) can be actually fun and enjoyable. Why am I suddenly going to talk about health insurance, you may ask? I have “diarrhea” to thank for this blog entry, actually! Before duty… Hello from the National Children’s Hospital! 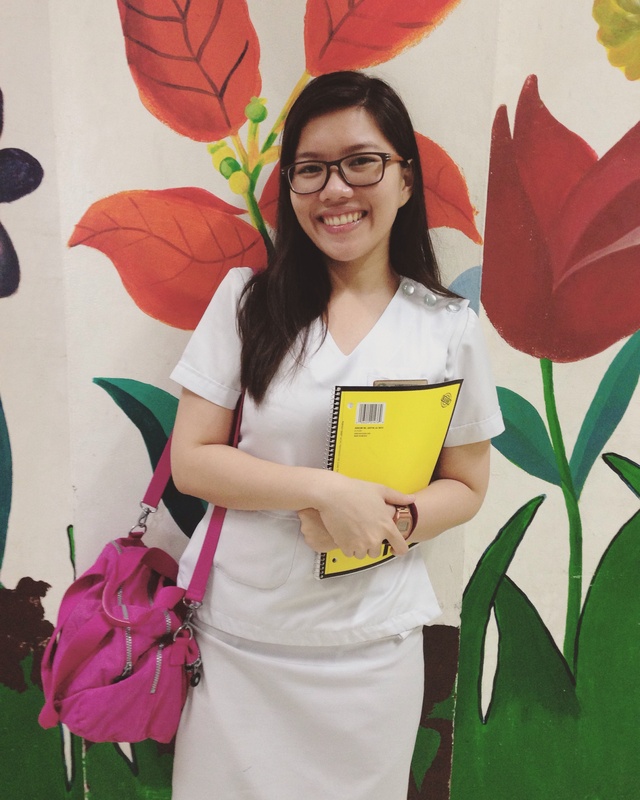 This November, I am rotating for Pediatrics at the National Children’s Hospital (NCH) in Quezon City. It’s a government hospital and we rotate in the charity wards. Our patients in the out-patient clinics are those who usually consult due to infectious diseases like dengue fever, pneumonia, and furunculosis (numerous boils, aka pigsa, on the head and the rest of the body), and most of the moms admit that they are living in squatters’ areas nearby. To cut it short, the environment is more cluttered and untidy than what we’re used to at UERM. So, one night after work at the hospital, I felt feverish but did not bother to check my temperature. I assumed the ambient temperature was just abnormally high that evening. However, the following morning, I was having back pain, abdominal pain, and headaches. I was thinking I might have dengue fever (for the second time!) but opted to just observe and wait for what’s gonna happen to me next. I was my own guinea pig, you see. Then, the next day, I had a fever, vomited everything I ate or drank, and in the afternoon I started having loose, watery stools. In that moment I knew it wasn’t dengue fever but acute gastroenteritis aka diarrhea. Note that I didn’t take meds like Diatabs or Imodium because going to the toilet every few minutes was a way to excrete all the toxins (produced by bacteria or virus) in my body. Embrace the loose, watery stools. Haha! I might have gotten the bacteria or virus from contaminated food, water, or surrounding. ALWAYS WASH YOUR HANDS BEFORE EATING! My skin was flushed, I knew my heart rate was higher than usual and I was really scared of becoming dehydrated. I could not replenish the fluids I was losing from the diarrhea because I was vomiting everything. I went to the infirmary in UERM Hospital but ended up at the emergency room. 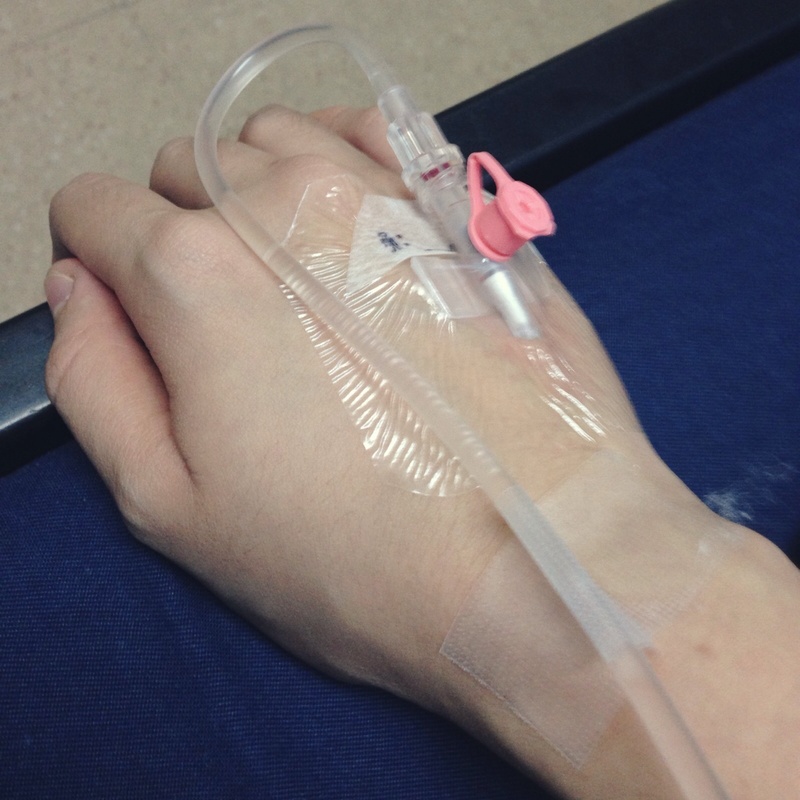 Thank goodness I immediately felt better after having been infused with intravenous fluid (aka “dextrose”). Take note that if you have loose stools but can tolerate oral fluid (read: not vomiting everything), you can drink oral rehydration solution like Hydrite. You should not opt to drink Gatorade, flavored water, or other energy drinks because these are insufficient to replenish the electrolytes lost from your body. Some of these may even contain high sugar level which can do more harm than good. It was only my second time to have a needle inserted on my vein (the first time was when I had dengue fever 15 years ago) and boy, was it painful. I was reminded about how the patients would feel whenever I insert a needle on their veins. I’m already 23. I am no longer covered by my parents’ health insurance. Please do not admit me. Imagine how relieved I was, given the fact that there were no indications for me to be admitted. My condition got better after one liter of fluid has been gladly took in by my body. Add the thought of the cost of getting admitted to the reasons why my condition improved right away. Haha. Because of that incident, I immediately asked my parents to process my health insurance. They completely forgot that I am no longer a minor (forever below 21 ang peg). You know, it’s not easy to be unemployed at this age but I am thankful that my parents understand. I’ll be a dependent as long as I don’t have that MD license yet. Two more years, mami and tatay. Two years to go. 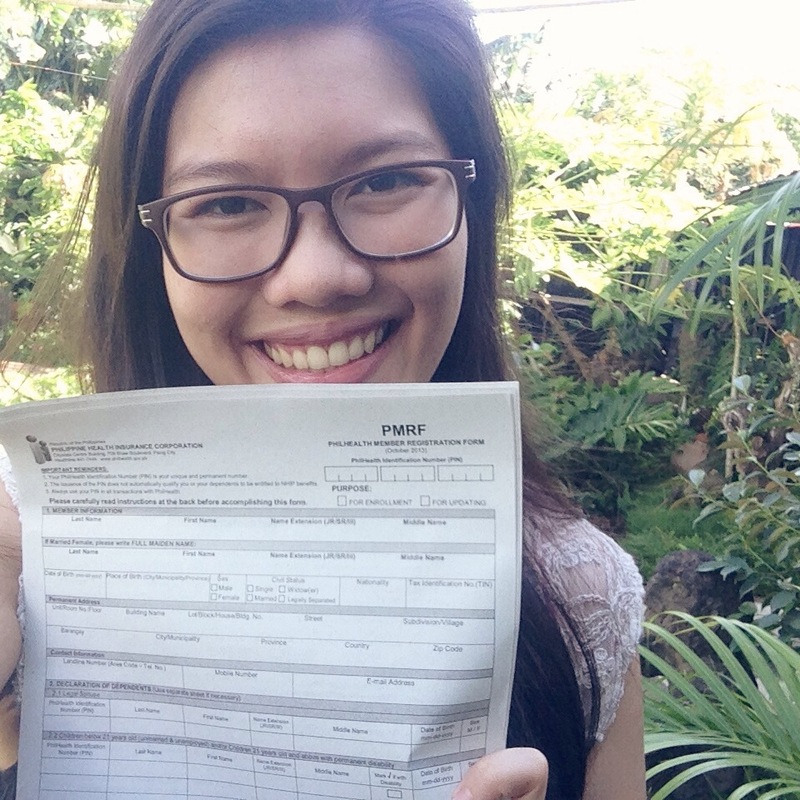 So, Tatay got me these PhilHealth forms and all I have to do is submit two accomplished sheets to their office. At the beginning of this year, the membership fee was 400 pesos, but now it is 600 pesos. Also, I am joining PhilHealth under the category of informal economy aka the self-employed and the unemployed (so the tambays out there do not have a reason to not have a health insurance). The monthly contribution is only 200 pesos (it’s just like giving up one Starbucks drink each month). I know there are other people who would have a hard time shelling out this amount monthly, but PhilHealth has a category for indigent fellows, so more or less, all of us could be covered if only everyone is informed and has the initiative to apply. If you’re already employed and have a health insurance from MediCard, Maxicare, or other private providers, good for you! Make sure to maximize your benefits! Consult your doctor not only when you have symptoms bothering you. Maximize your card and have those prescribed diagnostic tests for your age group done. To know more about the terms and requirements, visit the PhilHealth site here. To know more about the private and more shala health insurance providers, this article would be of great help. For once in my life, I was thankful I got diarrhea. Now, count me in as a member of the health-insured club!